We are based in Columbia, Greenville/Spartanburg, and Charleston in South Carolina; Augusta in Georgia; and Charlotte in North Carolina. 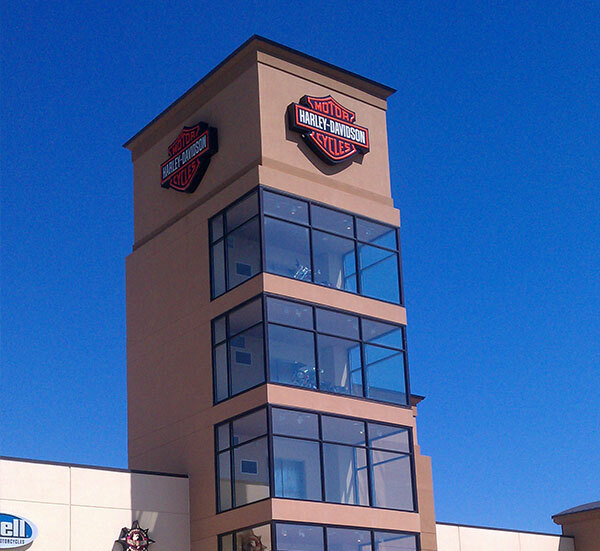 This places us in a position to service your needs. You will find pricing to be very competitive, and with any job Visual Concepts completes all installed parts are warrantied one year from the date of replacement. As an additional benefit we provide complimentary weekly surveys for all of our clientèle and thereby keep them aware of any outages they may be experiencing. 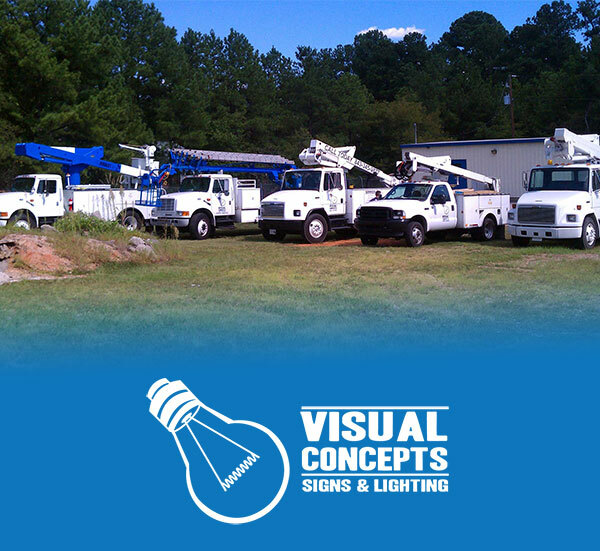 Visual Concepts Signs and Lighting LLC has been developed as a company catering to the sign and lighting needs of commercial, industrial and residential properties. 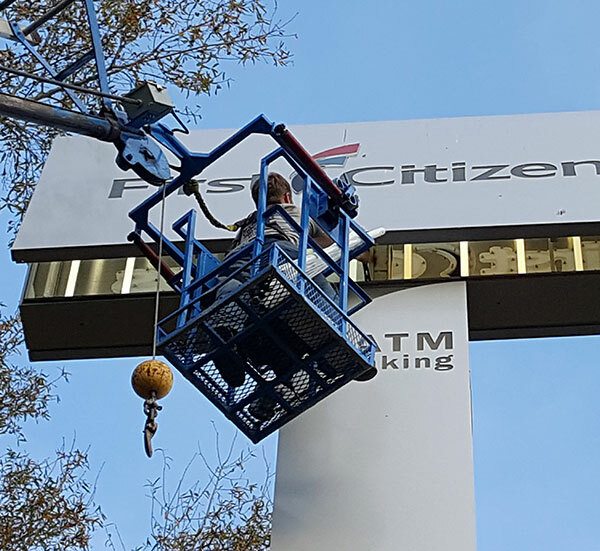 To that end we can now supply the services you require with expert technicians and fully stocked lift trucks to effect responsive and efficient repairs to all illuminated fixtures at your property, be they signs, security lighting, or parking lot lights. Our experience in working with various businesses, e.g. 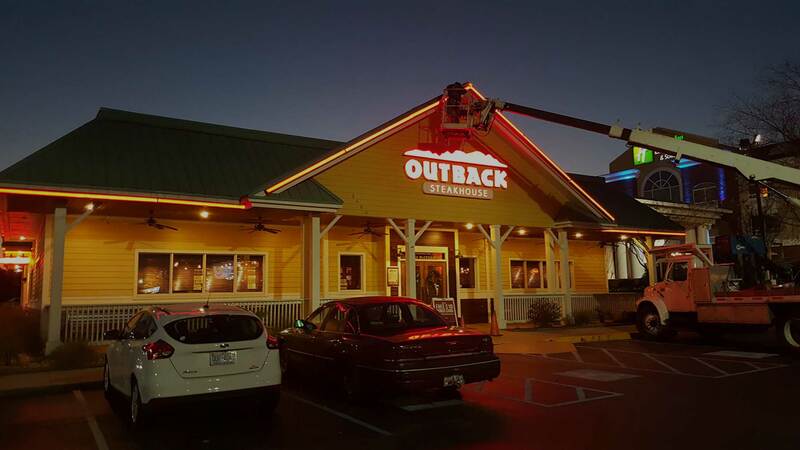 grocery stores, property management groups, and auto dealerships, to survey and repair their signs and lighting has positioned us as an excellent partner for you in the South Carolina market. 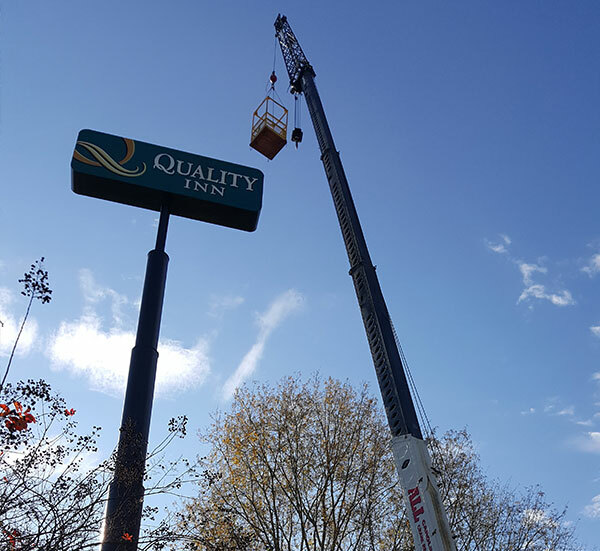 We are committed to stocking the parts necessary to successfully service your outages, in most cases, with a single service call. Should electrical service be needed, Visual Concepts retains certified electricians to assure we can properly affect repairs to your systems.